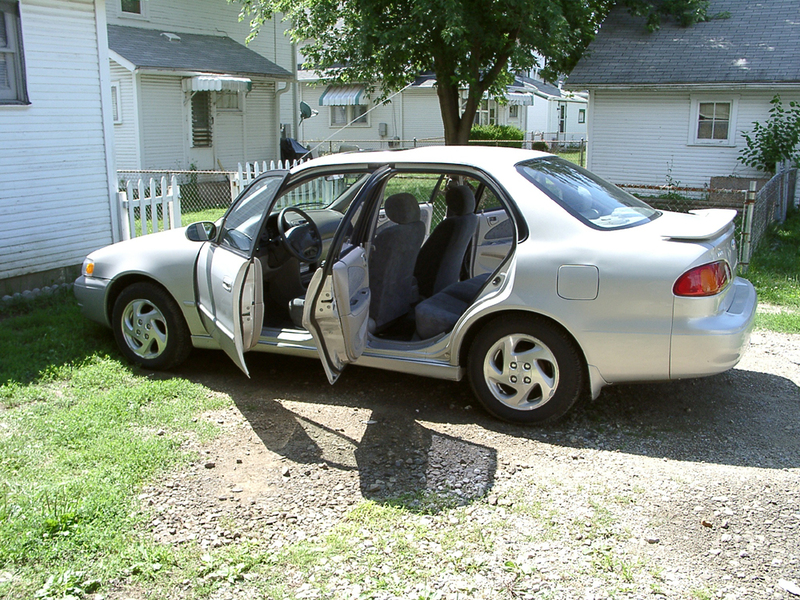 This is my beloved 2000 Toyota Corolla LE. I bought it almost 12 years ago. I love this car. Toyota is an excellent automaker and I like everything they do. The Corolla is a miracle. People I have never met, who don't know me, built her for me. Just for me. Their minds, genius, creativity, labor, money, energy, time, blood, sweat and tears all went into creating this amazing machine for me. I couldn't build one like this if my life depended on it. I drive her everywhere in all kinds of weather. She is bullet-proof, well-built and uber-reliable. She is torquey and sprightly and fun to drive and good on gas. She is comfortable, elegant, and quiet. She is technologically sophisticated. She is understated and capable. All I had to do was pay a man a modest sum of money, and she was mine. Just like that. Every machine you own, in fact every physical thing you own was built just for you by someone and you should be thankful also. Your PCs, your Android smartphones, your iPhones, your gaming consoles, your houses, your toasters, your furniture, your cities, your fire hydrants, your refrigerators, your Taco Bells, and of course your cars; most any physical thing you can name is a small miracle unto itself. You should be thankful for the material things you have in your life, and the amazing people who created them. I don't quite trust my own senses, and neither should you trust yours. Note the series of pictures below, taken at the joint of the ceiling and the west and south walls of my apartment. I noticed this effect many times before and today I'll present it to you. This is a test post to this blog after a period of years' neglect. I think I have something interesting to say. Tonight is the last night in a six-night stretch at work. I'm ready for a couple of days off at home. I have cleaned a small candy jar and filled it with tap water. I put it next to his jar to let the chlorine evaporate out and let the water come up to the same temp. Later I will add the water cleaner before adding him to it. Then I will clean his main bowl. This is the second post and I am working with the appearance settings. Feedback is welcome. This is the very first posting to my new blog. I hope it's interesting and edifying.